Journey to the Light means coming home. 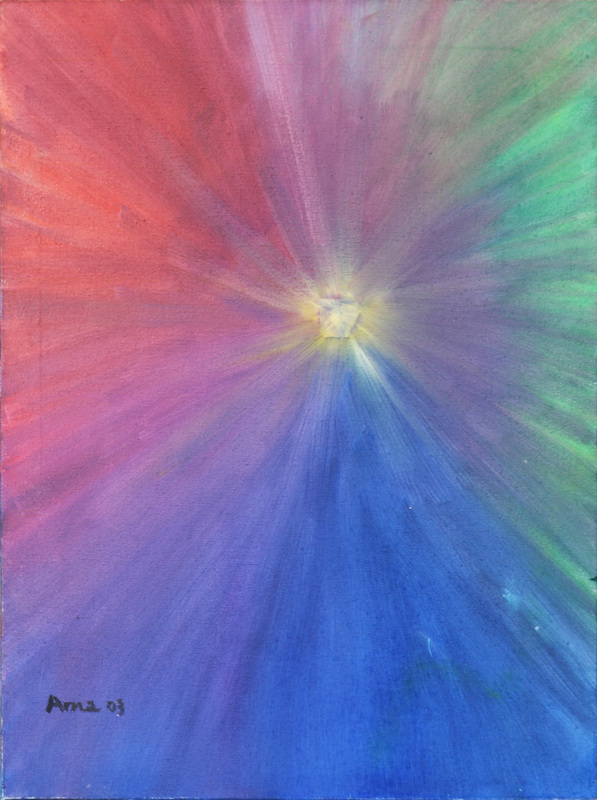 Through my extensive past life journeys with clients they describe the delicious colors of the light that the soul encounters after it leaves the body. This painting is a reminder not only not to fear death but more importantly to enjoy our earth bound experience in a more sensual way enjoying every moment of breath.